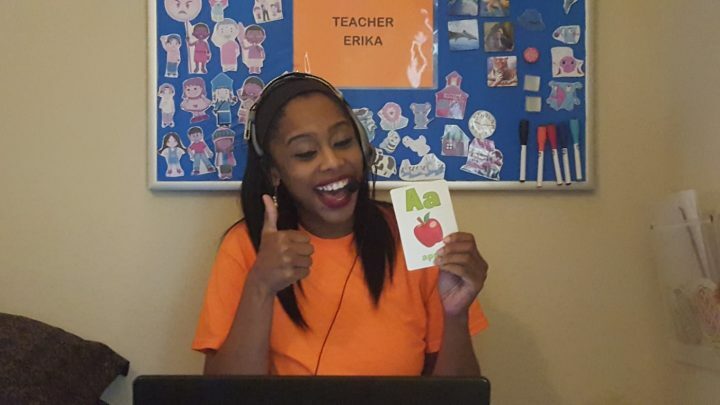 Becoming a VIPKID teacher is easier than you think. These days, it’s easier than ever to find a job and teach English online, thanks to this incredible online platform. 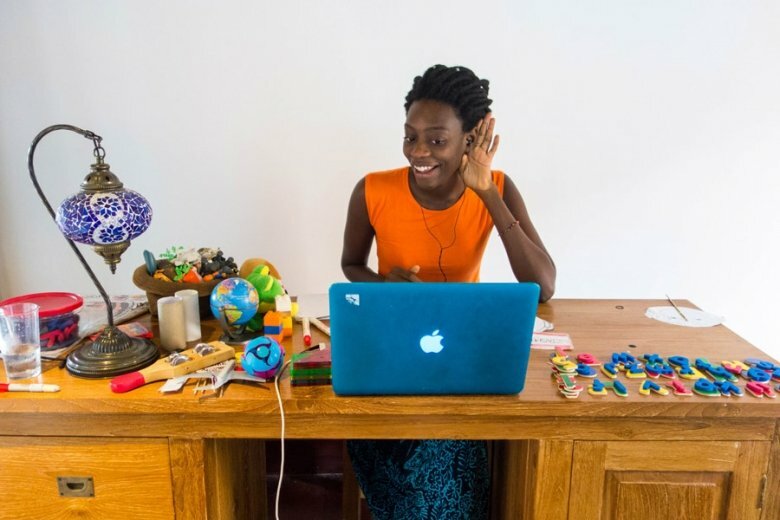 VIPKID is by far the most used and trusted place for online English teaching jobs and they’ve even been rated #1 on Forbes’ list of Top 100 Companies For Remote Jobs. Ever since our first experience teaching English in China, we have loved the rewarding, engaging and exciting experience of teaching English as a second language. We still look back on our teaching jobs in China as one of the best experiences of our lives. But at that time we had no idea that we could’ve taught English online, and in fact VIPKID wasn’t even around at that time. VIPKID teachers earn $22 / hour teaching online, meanwhile, we had to actually go into a classroom. At that time, we had to be in class, in China, and teach 5 days per week from 9:00am – 5:00 pm on certain days. If we had the opportunity to become a VIPKID teacher, we definitely would’ve applied. These days, we earn our money solely from this travel blog, but we’ve helped over a thousand teachers apply and become VIPKID Teachers. The reason we think it’s such a great program is because you can choose your own hours, make a good wage, work from anywhere in the world and you don’t have to spend hours lesson planning (half of our work hours in China were spent preparing curriculum). VIPKID teachers are able to take advantage of extremely easy to follow lesson structures because they supply you with the curriculum. Another bonus is that they have an automated payment process, so they always pay on time. No more worrying about shady schools hiring you in China but not paying you (this happens more often than I’d like to admit). VIPKID is a reputable, well organized school that has thousands of teachers and hundreds of thousands of Chinese students who are eager to learn. They offer great support and can help you with every aspect of landing your ideal online English teaching job. VIPKID teachers provide an international learning experience to children in China between the ages of 4-12. Headquartered in Beijing, the company offers fully immersive one-on-one English language instruction provided online by highly qualified teachers (that’s you!). The curriculum is based on the U.S. Common Core State Standards and uses a flipped-classroom approach to foster creativity and critical thinking skills. Their sophisticated virtual classroom streams passionate, qualified VIPKID teachers into Chinese homes, linking the world with quality language education. Becoming a VIPKID teacher really isn’t that difficult at all. As long as you’re an American or a Canadian citizen with a Bachelors degree, all you have to do is click the button below and you can fill out the application right on their website. After you’ve completed the form, you’ll be emailed a time for an interview. All potential VIPKID teachers who apply must meet the following requirements. If you don’t meet these requirements, unfortunately you cannot apply. To apply for the job as a VIPKID teacher, simply click the button below and fill out the form on their website. After you fill out the form you’ll be prompted to choose an interview time slot. For this interview, you’ll have to get familiar with the program. Keep reading this post to find out more about how to pass the interview and get an online teaching job. When you click the above button, the VIPKID website will open in a new tab in your browser. It will prompt you to enter your name, email address and the verification code that appears in blurry letters to the right of the box. Once you enter all of that, you’ll have to complete a short survey (it won’t take more than 3 minutes). Everything in this survey is very straight forward. You don’t need to have any prior teaching experience to become a VIPKID teacher, so be honest when filling out all of the questions. In part 3, there’s a question asking if “you have any previous experience with the K-12 Education in Canada and the US”. All this means is the Kindergarten to Grade 12 system that’s currently in place in Canada and the US, so if you went to school in either of those countries, or in any country where they have the same system, then you can check the box to say that “You attended a K-12 school”. If you taught in a country with the kindergarten to grade 12 system, tick the appropriate box. Once you complete the short survey, you’ll have to wait a couple of business days for VIPKid to email you. At which time you’ll be prompted to pick a time slot to be interviewed. This is when the fun stuff begins! While we’ve introduced thousands of people to the VIPKID platform and helped hundreds get a job as a VIPKID teacher, the biggest hurdle people face is actually passing the interview process. I’m not trying to scare you off! If you fail, don’t worry, you’re actually expected to try again. The interview process is a good way for you to get experience with the online tools because you’ll be talking with a VIPKID pro the entire time and they’ll be able to walk you through how to use the platform. The more interviews you do, the better you’ll become at using their online interface. Take a Live Interview: Schedule a time slot with a VIPKid specialist and perform a live demo class for them. Pre-record a Demo Class: You can login to the classroom and pre-record a demo class to submit for review. This may be a better option because you can practice, and re-record until you get it right. When preparing for the interview, there are a few things to keep in mind. You’ll be able to access the classroom an hour before your actual interview starts. This will be a great time to familiarize yourself with the classroom interface, and also make sure that your microphone, camera and internet connection are working properly. If you have poor internet where you’re staying, I recommend you head to a co-working space, internet cafe or restaurant that has good Wi-fi as it’ll be impossible to pass if your internet keeps cutting out. You’ll be given a series of slides before you begin the interview. These are basically your pre-planned lesson structure that you’ll be going over for the demo lesson. Make sure you review these slides and pretty much have them memorized. One of the main reasons that teachers fail is because it’s obvious that they didn’t even bother to look over their slides and prepare for the demo class. You will be evaluated on your overall energy level, your ability to teach the students and illicit their answers and how you transition your way through the lesson structure and slides. It’s worth practicing beforehand and perhaps Googling some English teaching videos online to see how other teachers cover certain topics. There are several performance indicators that you will be evaluated on during the interview process. It’s worth briefly reading all of these so that you can better prepare yourself for the demo class and know what you’ll be evaluated on. You can find the performance indicators here. I found this very helpful video online that shows you how to pass the VIPKid mock class. The woman in the video (Nancy Taylor) does a great job of keeping energetic throughout the mock class, eliciting answers from the students and utilizing learning props. Generally, people have a lot of questions when they want to become a VIPKID teacher. Of course, there’s a lot to know about the platform, the application process, the classroom environment and the interaction with students, so it’s not surprising that potential VIPKID teachers have a lot of questions. How Much Do VIPKID Teachers Get Paid? The great thing about becoming a VIPKID teacher is that the pay is actually very good. In fact, it’s considerably better than many teaching jobs in China. VIPKID teachers are paid anywhere from $14 – $22 / hour and it’s not very difficult to reach the top of this wage bracket. As soon as you grasp the lesson structures and have a bit of experience on the platform, you will be upgraded to the higher pay scales. $22 / hour is a great wage for online work. How Many Hours Per Week Does a VIPKID Teacher Work? All VIPKID teachers can choose their own hours, however, teachers must enter their weekly availability one month in advance. Teachers’ weekly schedules are sent out each Saturday at 10AM Beijing time. Teachers can be booked for classes during the week, no less than 24 hours in advance. VIPKID encourages all teachers to check their emails and their schedule in the system daily. Generally, VIPKID requests that teachers are available for at least 7.5 hours per week. There is no maximum teaching time and during peak Beijing times (Monday-Friday 6-10pm, and Saturday-Sunday 9am–10pm) there is plenty opportunity for more hours. You may even end up working 40 hours per week which, at the highest pay range, works out to be over $3,500 USD / month. Do I Have To Speak Mandarin To Become a VIPKID Teacher? No. Even though you are teaching Chinese students in China, you are not required to speak their language. In fact, the classes are fully English immersion, so you are not allowed to speak Mandarin, even if you do know a few words. Do I Have To Be Fluent in English To Become a VIPKID Teacher? Absolutely. You must be fluent in English and have no thick accents whatsoever. VIPKID promises its students and clients a very high level of English proficiency for all of the VIPKID teachers on the platform, so it’s important that you’re fluent in English. You don’t have to have university level grammar and vocabulary, but you should speak the language without error, and with an accent that is easy for a non-native speaker to understand. Yes. However, unlike teaching jobs in China, VIPKID does not require that you sign a 1 year contract, they do however expect you to sign a 6-month contract so that your students can rely on you to be there for them throughout certain segments of the curriculum. The contract is very straight forward, in plain English and basically just says that you’ll be there to teach on time, how much you’re paid and that you’ll continue for a minimum of 6 months. You’ll need to have a laptop, desktop computer or tablet to join the online classrooms. You’ll also need a video camera (built in camera is fine) and a headset with a microphone. Headsets can be purchased from most computer stores for as little as $10. How Many Students Will I Teach? A VIPKID teacher always teaches 1-on-1, so you will never have more than one student in your classroom. This is part of the amazing learning experience that VIPKID offers to its students and their parents and it helps to create a wonderful, personalized environment. Do Classes Take Place on Skype? No. VIPKID has its own online learning app and platform. You will be using their interface and their proprietary language learning chat room. Do VIPKID Teachers Have To Communicate With Parents? No. VIPKID communicates with all of the students’ parents so that the teachers don’t have to. They will ensure that the parents are satisfied with the classroom and their child’s progress, and they’ll update with you with any feedback from the parents. Where Do I Have To Live In Order To Be a VIPKID Teacher? 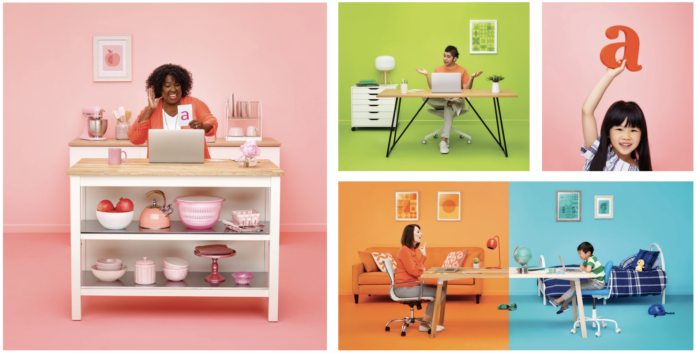 As long as you’re a Canadian or American citizen, you can live anywhere in the world and still be a VIPKID teacher, provided you have a solid internet connection and time for your classes each week. I hope this helps you to pass the interview and get a job as a VIPKID Teacher. We are so happy to have helped hundreds of people get jobs as VIPKID teachers. It has literally changed the lives of many people who are looking to travel while earning money. If you have any questions about the job that I didn’t cover in this post, please feel free to contact us. We answer all emails and will do our best to answer any questions that potential VIPKID teachers may have. The post How To Become a VIPKID Teacher and Earn $22 / Hour Online appeared first on Goats On The Road.